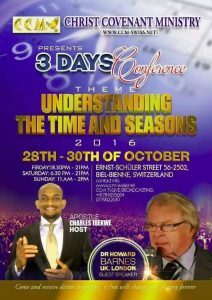 Previous to this mission to Switzerland Howard had taught at a Live-streaming broadcast from the Covenant Centre in Bienne some months before. 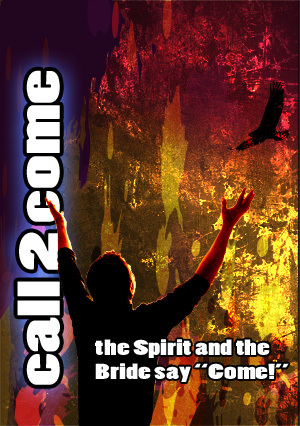 Now Call2Come was going there to hold a three day conference on the Bride of Christ. 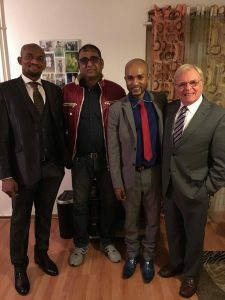 We retured home a week later with an amazing testimony both about the conference and about what happened to a Pastor in a neighbouring church where we saw the power of God move with great physical healing and restoration. 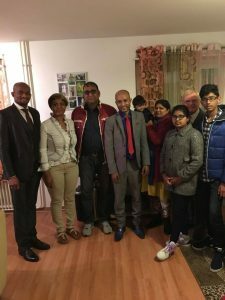 The conference was held at Apostle Charles Ibekwe’s Christ Covenant Ministry HQ in Bienne and the teaching was received with great joy. It was great that Call2Come Representatives from Italy Pastors Justin and Rukshan Khan and their family were able to travel across the border to be with us. After each session ministry in prayer was offered and many lives were changed and bodies healed. Howard preached at the Sunday morning service and afterwards in the afternoon we went to a neighbouring church in the city to pay our respects as visiting Christian leaders in the city and nation. 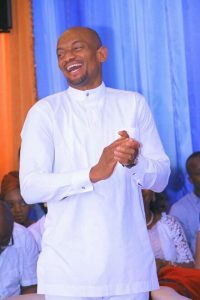 However the Church pastor at this neighbouring church, one month ago, had had a serious road accident and she had to have some of her intestine removed and her kidney was effected. She could only sit in a chair and was unable to take part or to stand. They asked if we would like to give a Word briefly which we did and then after expressing our gratitude to this church for their welcome we asked if we might pray and bless this lady pastor sitting in the chair. She accepted. And then it happened. The Lord healed her completely, took all pain away and she stood up and danced with us to some praise songs. She said that as we prayed she felt a buzzing in her side as if a mobile phone going off. It was a strange sensation. Not only was she healed by the relationships between the two churches were greatly blessed. Praise God. We have such a great Father in Heaven don’t we? With much joy in our hearts we returned home to England once again.